Foliage: Plants silvery pubescent throughout; leaves sessile but not clasping and the lower ones deciduous; heads small (less than 2 cm) and numerous elongate-racemiform, achenes pubescent. Basal leaves do not have a stalk. 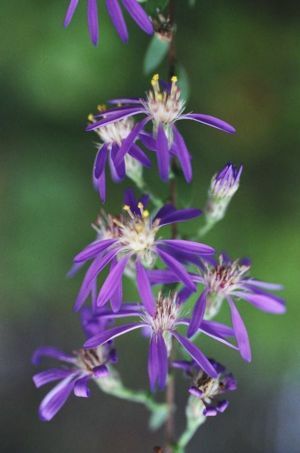 Flower: lilac, 8-16 rays; heads about 3/4" wide, in a long raceme, sometimes with a few short branches. Flowering time: late August to early October. 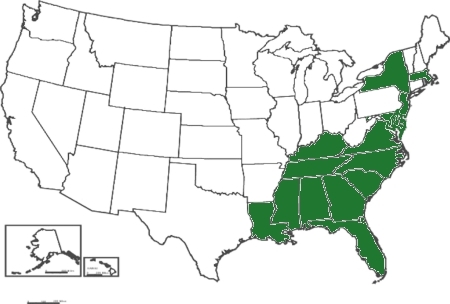 Habitat: Dry sandy open oak-pine woods and barrens, and roadsides. Misc. : The showy aster (A. spectabilis) occupies similar habitats (e.g. sites on dry, sandy soil in open woodlands) and is somewhat similar in appearance to the eastern silvery aster. 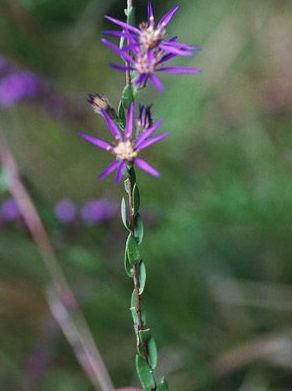 Nevertheless, its basal leaves have long stalks, while the leaves of eastern silvery aster are stalkless. Associated species include bearberry (Arctostaphylos uva-ursi), New England blazing star (Liatris borealis), little bluestem (Schizachyrium scoparium), Pennsylvania sedge (Carex pensylvanica), bushy aster (Aster dumosum), bayberry (Myrica pensylvanica), black huckleberry (Gaylussacia baccata) and late lowbush blueberry (Vaccinium angustifolium). 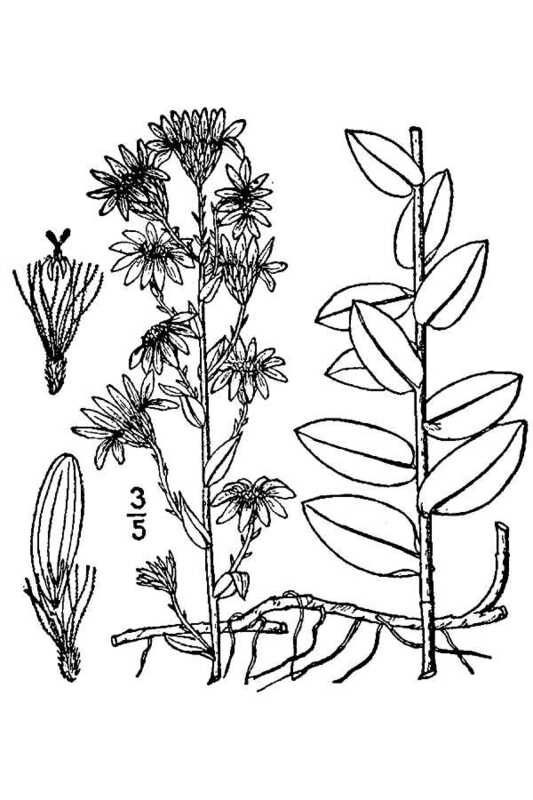 Symphyotrichum, from the Greek symphyos, (growing together) and thrix (hair), referring to the hair-like flowers; concolor, of uniform color (the leaves).